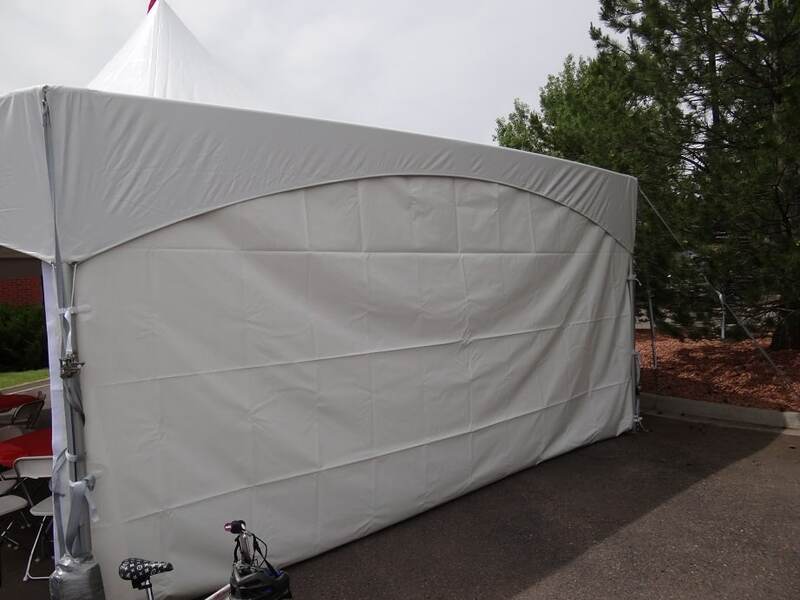 This is a 20′ long white canopy sidewall which lets you keep the weather out. This canopy sidewall is for use ONLY on our marquee style canopies. SKU: PKA09. Categories: Party & Event, Tables, Chairs, & Tents, Tents/Canopys. Tags: hexagon, marquee tent, sidewall, wall, canopy, tent. This marquee canopy is similar to our 20′ x 20′ frame canopy, but a bit nicer looking. Each side has a full 20′ opening with no poles in between and is 9′ tall at the openings. 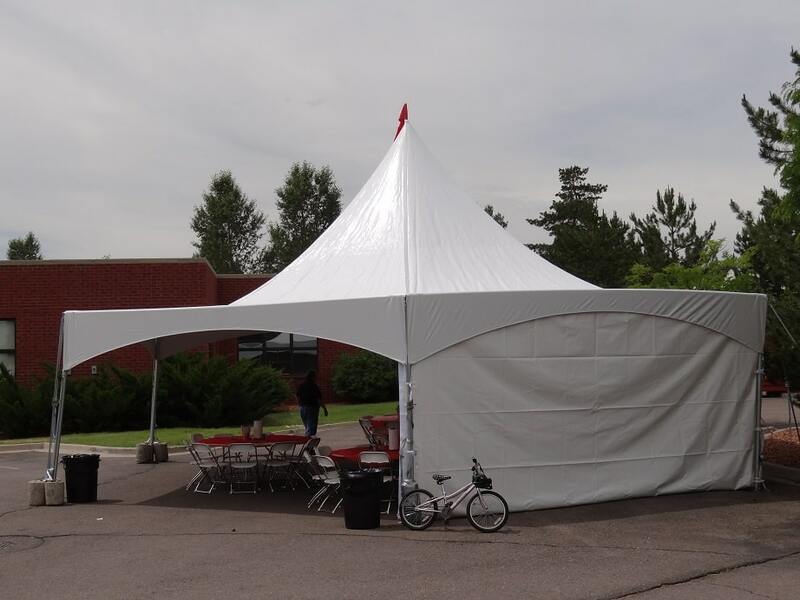 Our 20’x20′ marquee canopies can be attached to each other, or to our 40′ hexagon marquee canopy for even more space! This tent requires an open area of at least 25′ x 25′ of grass or dirt to be staked, or 22′ x 22′ to be weighted. Delivery and set-up are required by All Seasons Rent All for this canopy type. Delivery charges are additional and are based on distance from our store. Set up and tear down of this tent are included in the price of this tent. 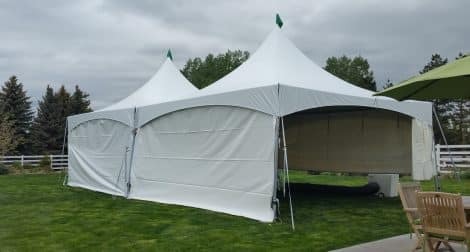 Sidewalls, lighting and heating are also available for this tent and are rented separately. No cooking or grilling may be done under this or any canopy. This is a 20′ long white canopy sidewall with designer windows which lets you keep the weather out, but you don’t lose our beautiful Colorado scenery. 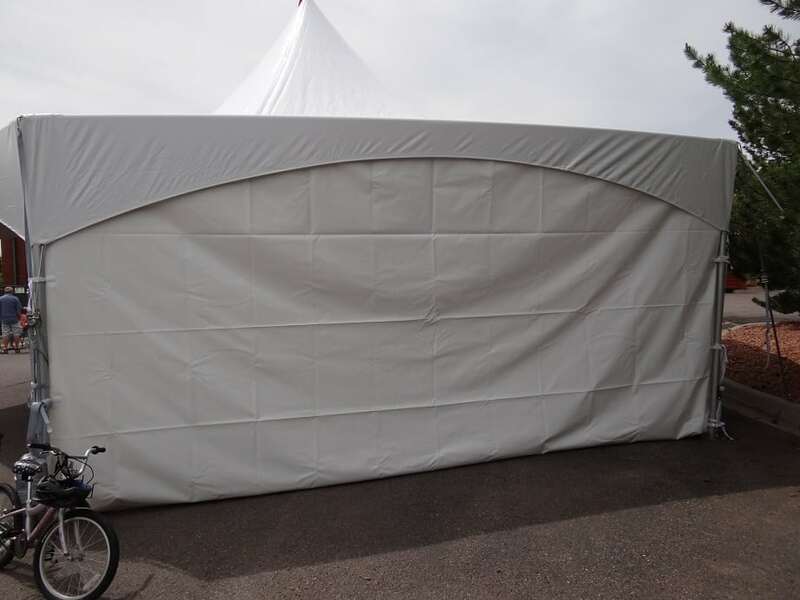 This canopy sidewall is for use ONLY on our marquee style canopies.